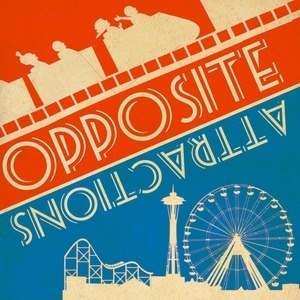 We found 3 episodes of Opposite Attractions: A Theme Park Design Show with the tag “voting”. Jim votes on a maze. Scottye is a total gamer. Also, the worst theme parks ever are discussed. Jim and Scottye remember that they forget to set a challenge for last week. Jim rocks the vote. Scottye tries yelling orders.